This year, the Town of Inuvik has decided not to hold a Saturday market. 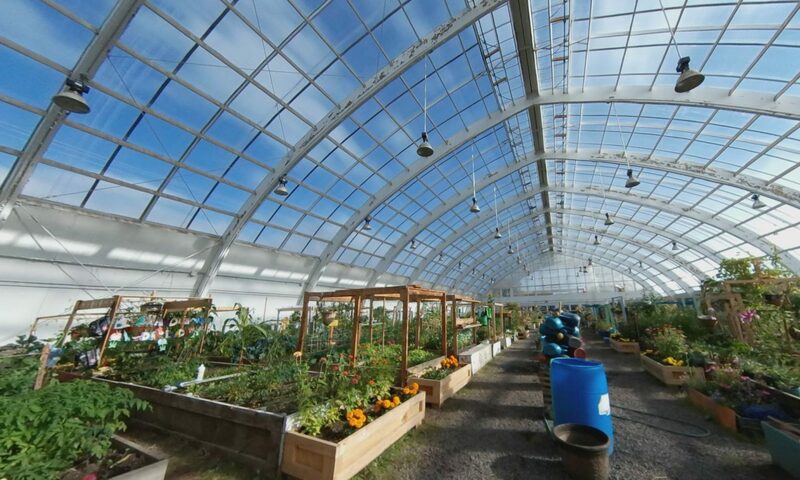 They were looking at a weekday market, and the greenhouse has offered up its space as a dry, climate controlled location for vendors. 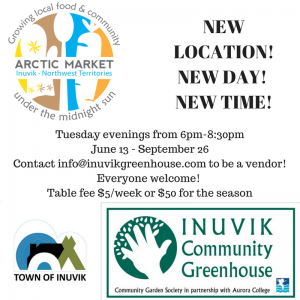 The market will be on Tuesday evenings, from June 13 – September 26th. 6pm – 8:30pm. To make this a success, we need lots of vendors to take part -and this is open to everyone in the community! So far, we have local craft work, local art, Patrick’s famous loaves and chilli, the youth centre, sushi, and much more! We hope that you will make the greenhouse a stop on your way home on Tuesday night!